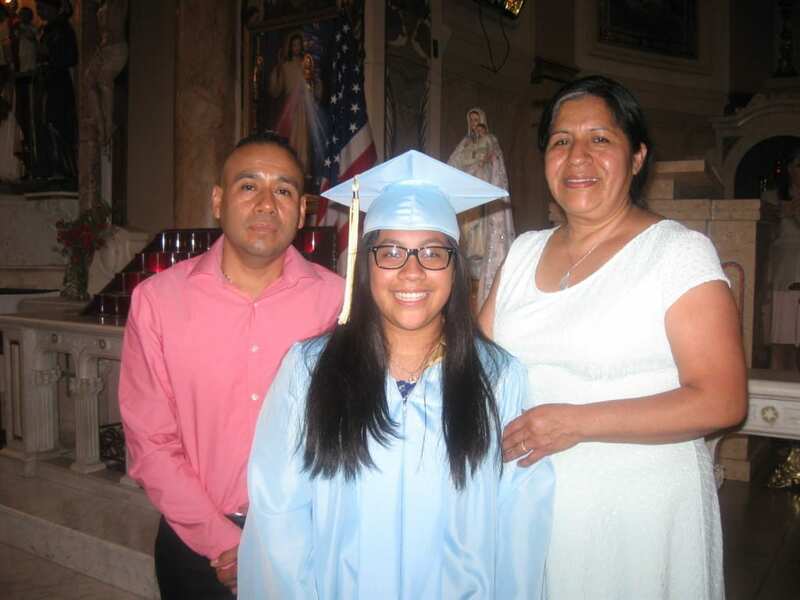 Esperanza is a parent of Oralie, a CSF Scholar in the eighth grade at Mt. Carmel-Holy Rosary School. My name is Esperanza Orozco. I immigrated from Mexico when I was 17 and I have been living in New York for 34 years. I reside in East Harlem. I am a mother of four children—two older boys and two younger daughters. I went to a public school growing up in Mexico, and I sent my two boys to a public school in New York. My sons are both great boys and very smart. However, children are influenced by the environment they are in and I felt that they didn’t receive the education they deserved. I wanted to make a different choice for my daughters. My husband and I both work very hard to give my children a better education, but we cannot do it alone. With the help of scholarships, I was able to send my two daughters to Mt. 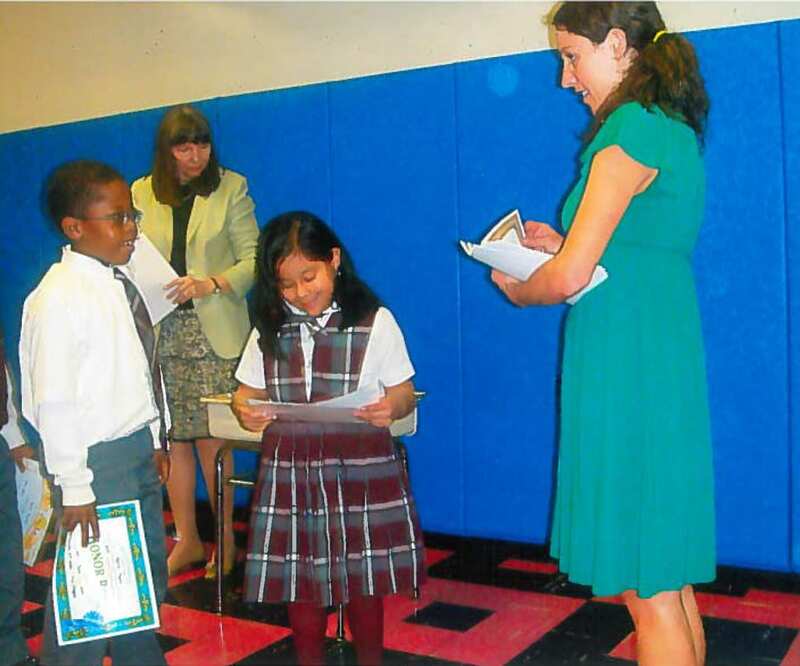 Carmel-Holy Rosary School (MCHR), a private Catholic school that serves students from Pre-K to eighth grade. I love everything about this school. My older daughter, Jennifer, graduated from MCHR and is now studying to be a nurse at Mercy College. My younger daughter, Oralie, is graduating from MCHR this year and will be going to Preston, a Catholic high school, in the fall. I now see the difference between the schools that my sons attended and the school that my daughters attended. There are many great public schools, but it’s hard to get into them because everyone wants to go to these schools. Sending my daughters to MCHR was the best choice for me. When my sons were enrolled in their schools, the teachers weren’t concerned for the students’ education and future. Maybe it’s because the classrooms were crowded and there was a lack of resources. In my daughter’s school, all the teachers go out of their way to make sure students succeed and they never give up on students who are having difficulties. I saw more extracurricular activities for the students, which help students grow in character. 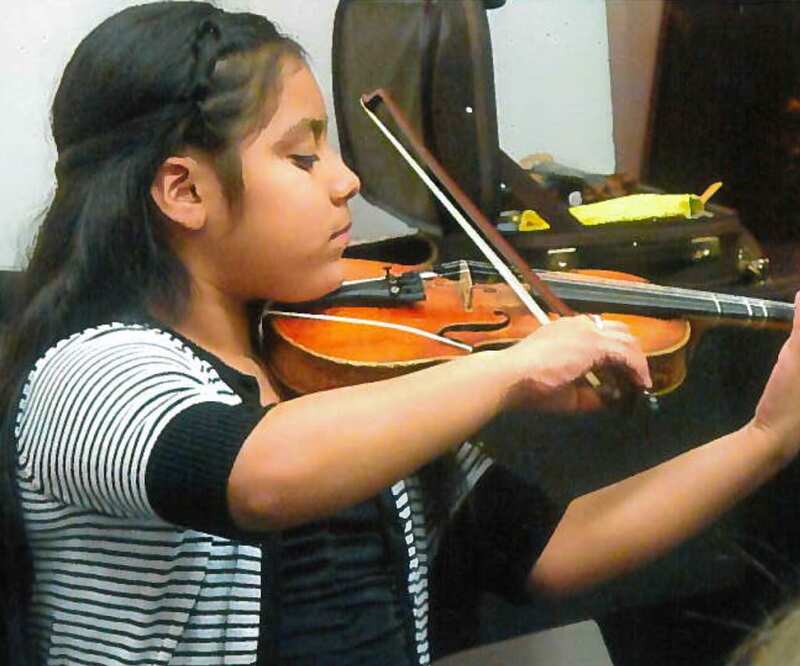 Oralie has been playing the violin since she was five years old, and it has taught her discipline throughout the years. Since day one, the school has been like a family. I feel like when I drop off my daughter at school, she’s going to her second home. As a MCHR Madrina (godmother), I regularly meet more families in the Latino community who want the best for their children. This community is large. Many of these families would like to send their children to a private school. Unfortunately, they cannot afford the tuition. Thanks to programs like CSF, the school can give more scholarships to these low-income families. As a parent, I understand the struggle to give your children a better future. Even though it is not easy, education is my top priority because I know it will give my children better lives. As a Madrina, I have tried to bring families to our school and take advantage of the scholarships that our school offers. In both of these roles, I am very thankful to CSF supporters. Without your help, my children and the children of my friends and neighbors would not have the future that they now have.